One of the most common sayings that I see around the place is that "politics has no place in games." It's a line of argument that I strongly disagree with, as it implies that games lack artistic validity. As I argue in my latest piece on Daily Review, arts are inherently political, from Shakespeare himself through to ballet, film through music. What's worrying is that it's not just a subset of the community that is denying that games have artistic merit. So too are corporations like Apple, that continue to block games from sale that have sensitive political content in them. 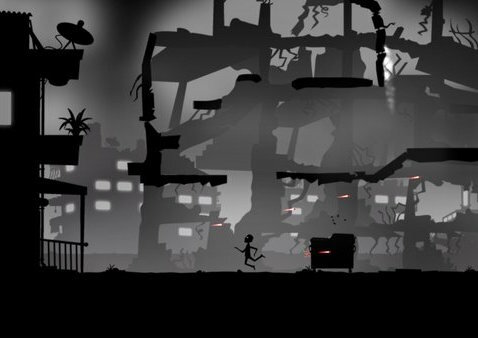 The latest victim of this was a little game developed by a Palestinian to deal with the conflict in his home country. Now, it's quite one thing to be made uncomfortable with a game's politics - as a consequence of games being art there are indeed going to be examples that make people uncomfortable for one reason or another - but it's quite another to see to silence games that make us uncomfortable. That Apple also has a resistance to the idea of “political” games is far more concerning. It misunderstands the value of games as art and it is inconsistent in applying its “no politics” rule. When a game is political, but not critical of western interests – (for example, This War of Mine is an anti-war game but culturally neutral, and Papers, Please is critical of totalitarian regimes) – Apple has no issue with them on the App store. It’s only when a game might challenge the social convention, (Palestinians as humans trapped in a horrific warzone), that Apple pulls out its sledgehammer. Despite Apple’s best efforts, however, the protest happened, the game was allowed and there’s every chance that some people out there will play Liyla and the Shadows of War and have their perceptions on the conflict in Israel and Palestine changed. And that’s why games need to be political. They need to challenge and provoke. They need to offend. It’s perfectly okay to disagree with the message that a game is sending out, but to suggest that it shouldn’t exist, because it doesn’t marry up the “correct” ideology, is a dangerous path to follow. Hopefully games like Liyla don't have to continue to struggle through dismissal, derision, and being approved for sale as the games industry continues to grow and mature.